Musician John Crabtree lit a spark at the annual fireworks in Fairview, Tennessee on July 3rd, 2016 with a strong set on a hot night. This acclaimed up-and-coming country artist had a lot of reason to celebrate this year as his latest song is rocketing up the charts and exploding on country radio. John Crabtree was busy Takin’ Back Our Country on July 3, 2016. 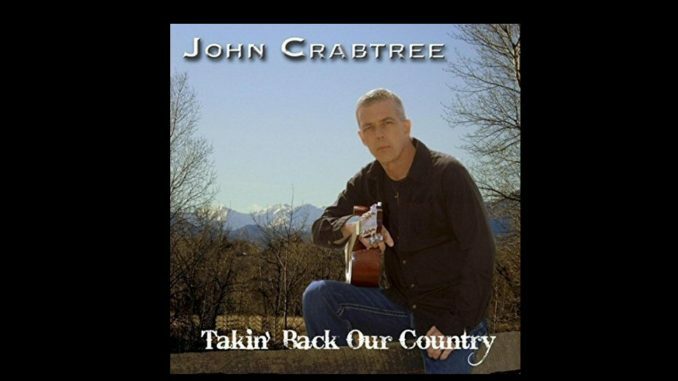 Takin’ Back Our Country is not only the name of John Crabtree’s latest record but more importantly the title track is his pledge to old school country music. He plays and sings with conviction as he tips his hat to the other greats in the genre. Crabtree has a rich baritone voice well-suited to tell sad tales. 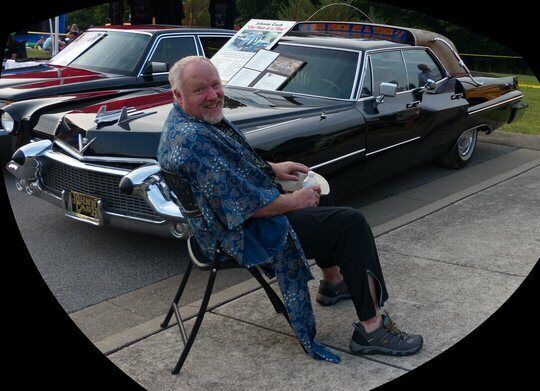 John’s music runs the range from snappy to solemn punctuated by the harmonica, fiddle and pedal steel. 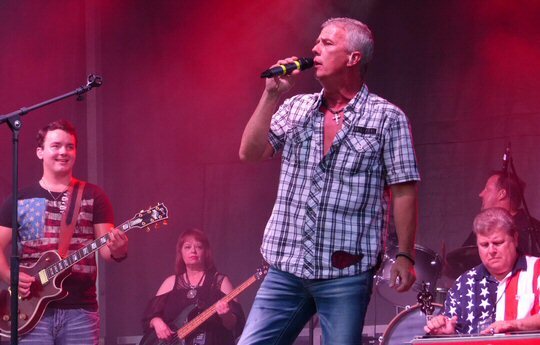 John calls it “pure country resurrected” and his style is drawing comparisons to many of the local legends. 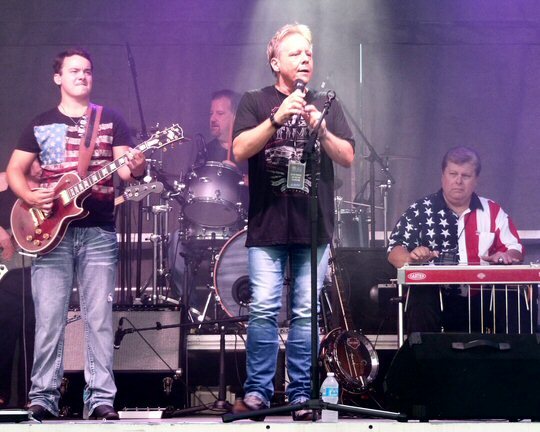 In Fairview, Crabtree performed a stand out set of covers and originals including his popular anthem that featured an animated jam from John’s talented band. “Shipping Out” – a salute to all those who defend our freedom – played well as an appropriate song for the holiday weekend. John also performed a Keith Whitley cover along with “Folsom Prison Blues”. John kept true to the Cash classic with the fiddle and pedal steel adding flair to their version. Mark Alan Cash keeps the family business alive in Tennessee. Speaking of Johnny Cash his nephew Mark Alan Cash opened for Crabtree and performed a number of country flavored songs for the crowd in Fairview. Mark clearly inherited the family musical DNA as hints of his uncle’s famous vocal delivery were on display as he enthusiastically entertained during his time on the stage. In Fairview, the larger than life presence of the “One Piece at a Time” singer still held sway even a dozen years after his passing. On site at the celebration was The Man in Black’s Mercedes – the car he drove for the last fourteen years of his life. Also in attendance was the one of a kind “One Piece at a Time” car that was built by a fan for Johnny and based on the comical Cash song about an automotive worker steeling parts and piecing together a unique ride. The two vehicles were there with their owners who were letting folks know that The Farm at Bon Aqua along with The Storytellers Museum was soon opening in Middle Tennessee. 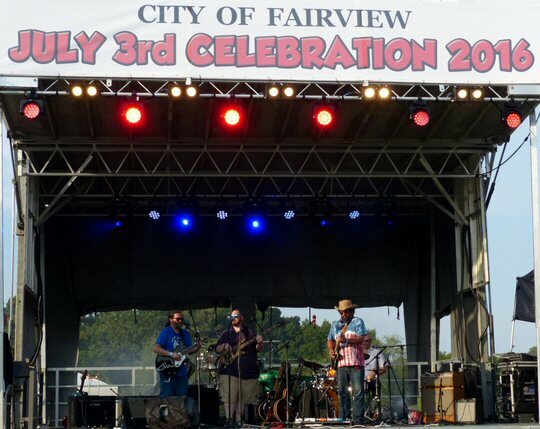 The big stage in Fairview featured musical performances throughout the day. This exciting new attraction is being spear-headed by the world-class Johnny Cash collecting couple Brian and Sally Oxley who also own the famous “Mama Cash House” in Hendersonville. They promise a transformational experience for fans who will now be able to visit The Farm that Cash said was “the center of my universe”. The Museum was the place where Johnny initiated Saturday Night at Hickman Country guitar pulls and will reverently honor country music storytellers when it re-opens its doors as the region’s newest venue in July. 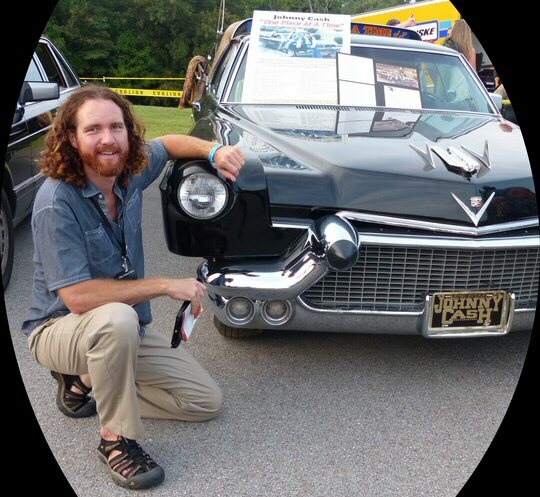 We ran into local sustainable development and dome home advocate Paul Freeman who was hanging around the Johnny Cash car display. Paul had his I-Pad in hand and was showing off the latest designs and plans for dome homes that are springing up in Middle Tennessee. Perhaps you’ve seen one of his concrete constructions while in the area. Or, maybe you’ve seen Freeman yourself on the television screen. He had a cameo role in the Johnny Cash movie The Last Days of Frank and Jesse James – the made for TV film shot in 1986. Brian Oxley and the “One Piece at a Time” car. The Fireworks were the highlight of the day’s events but Fairview, Tennessee was celebrating America’s independence all day with food, music and fun things for the kids to do such as face painting. A number of local politicians were represented. Fairview Area Chamber of Commerce was also on hand to promote the town and up-coming events including the Nature Fest Celebrating the Honey Bee. The Festival will be held at Bowie Nature Park on September 10, 2016 from 10-4. It will feature hayrides, a historical village, music and more. Family and friends gathered to celebrate America in Fairview a town that still has farms and charm. John Crabtree was a fine fit to reflect the country music heritage of Nashville and its surrounding communities. John is part of the next generation of artists who are bringing traditional country music to new fans while still honoring the pioneers of the past. During his set a number of children were dancing and running in the grass in front of the stage as adults clapped along thus keeping the spark of old school country music lit in their hearts. Nashville’s hard-working dome home advocate – Paul Freeman.